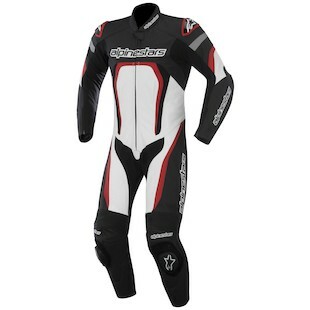 Alpinestars Motegi Race Suit: Ready For Track Season! If you are like me, you are counting down the days until we get our bikes back on track this year (currently I am only 61 days away!). Also if you are like me, you want to be looking fly for your first track appearance of 2015 as well. There is no better way to accomplish that than by showing up in a brand new suit which could be the redesigned Motegi! The Alpinestars Motegi Race Suit has been redesigned for 2015 and is all about adding comfort and protection. 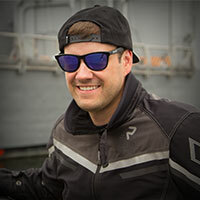 To address comfort, the new Motegi now has according leather stretch panels around the elbow, more stretch panels to the knees, chest, and back, calf expansion panels, and an updated removable liner that now features a waterproof pocket (for the weekend warriors) and back protector snaps. Alpinestars also added their DFS system to the shoulder to completely cover the shoulder seam. They also upgraded the hip protection by allowing you to upgrade to CE-Level 1 armor if the stock foam is just not enough for you. 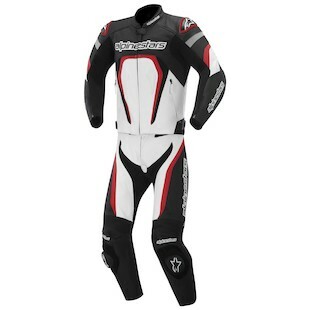 Alpinestars didn’t forget about the guys that wanted a two piece option either. The redesigned Alpinestars Motegi 2 Piece Race Suit will also be upgraded with all of the changes that the one piece has and it will also comes in a long option as well! That is big news for the tall guys. If you suit is old, raggedy, or beaten to pieces, check out the redesigned Motegi suit. It comes in at a strong price point that is double for most riders while giving you huge bang for your buck. What’s not to like about having more protection and more comfort? See you at the track soon!